To put in perspective just how quick an under 4 second time is, the latest Porsche 911 Carrera S has a claimed 0-60 mph time of 3.9 seconds (although Porsche is known to be conservative with their performance times). The Mustang GT starts at $35,190 versus $105,100 for the Carrera S. Now we aren’t saying that the GT will match the 911 for overall performance and build quality, but when you consider the price, it punches way above its weight class. The folks over at cars.com wanted to see if Ford’s claimed 0-60 mph time is accurate. 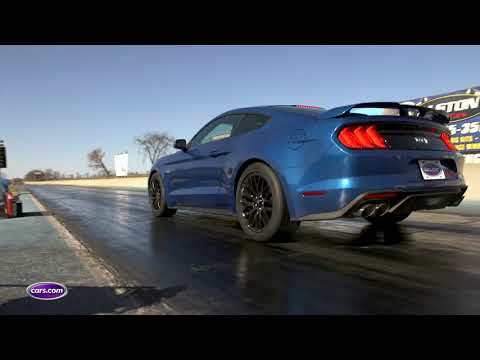 In the below video they take the 2018 Ford Mustang GT to a drag strip and see just how quick the pony car is. Take a look at the video and then scroll down to the comments and let us know what you think of the Mustang GT.